Striker Jo Kuffour has signed a two-year contract with Wycombe, days after arriving on a short-term deal. 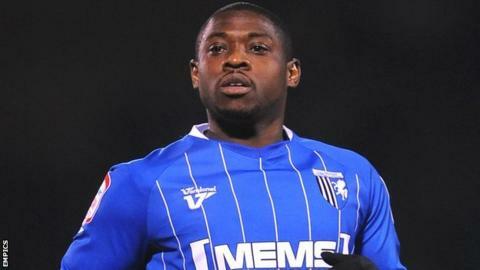 The 30-year-old Ghanaian was a free agent after leaving Gillingham at the end of the 2011-12 season. "I'm pleased to get it all sorted. I just want to get the shirt on now and give 100% for myself, my family and the fans," he told the club website. Kuffour's arrival will help fill the gap left by Stuart Beavon's deadline day departure to Preston North End. After starting his career with Arsenal, Kuffour also had spells with Torquay, Brentford, Bournemouth and Bristol Rovers. "He's a good player who is experienced at this level and the one above," said Chairboys boss Gary Waddock. Kuffour played in the 1-0 defeat by Southend last Saturday and an hour of the development side's friendly against Tottenham earlier this week, and could be in the squad for Saturday's home game against Cheltenham.